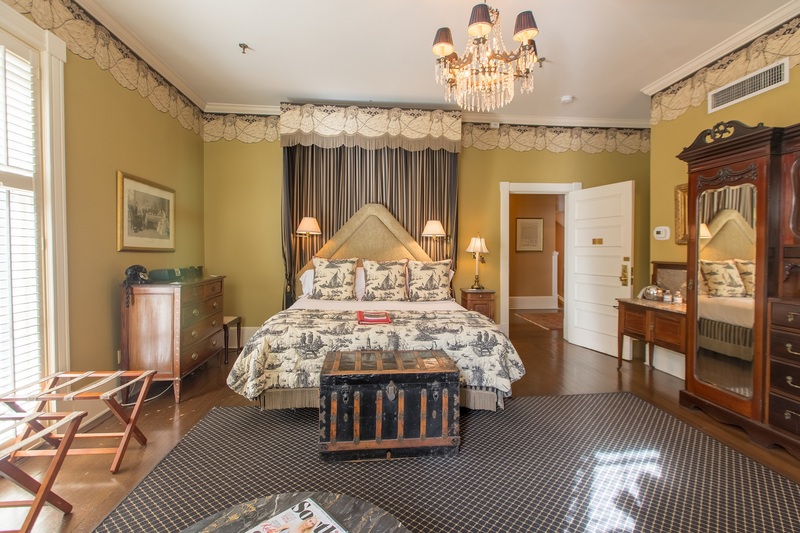 This elegant, corner room at our Savannah Georgia luxury hotel contains a king-size English-canopied bed, period borders, and masculine black and tan toile print. 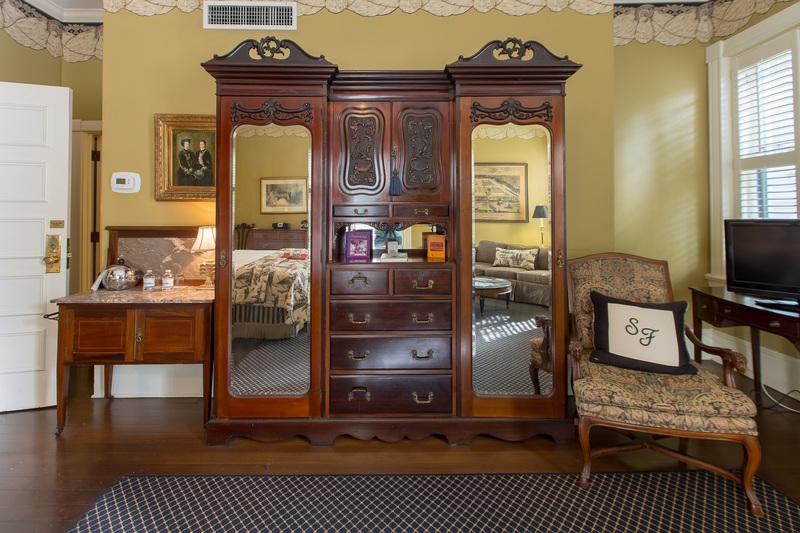 The room also has a sitting area with a full-size sofa and chair, writing desk, and inlaid armoire. 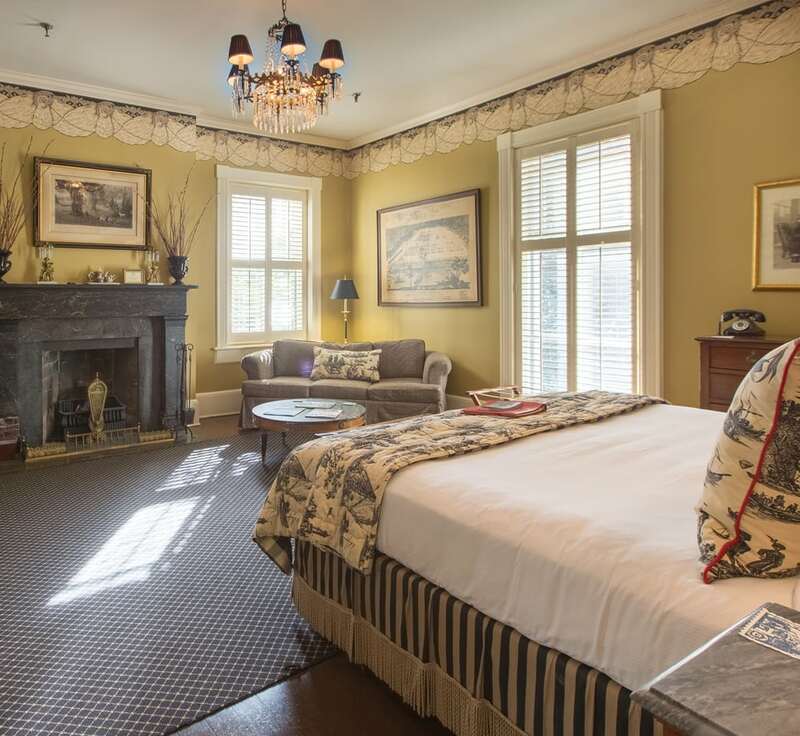 This accommodation at our hotel has lots of light from windows on two sides, and a wonderful fireplace with a balcony overlooking Oglethorpe Avenue. 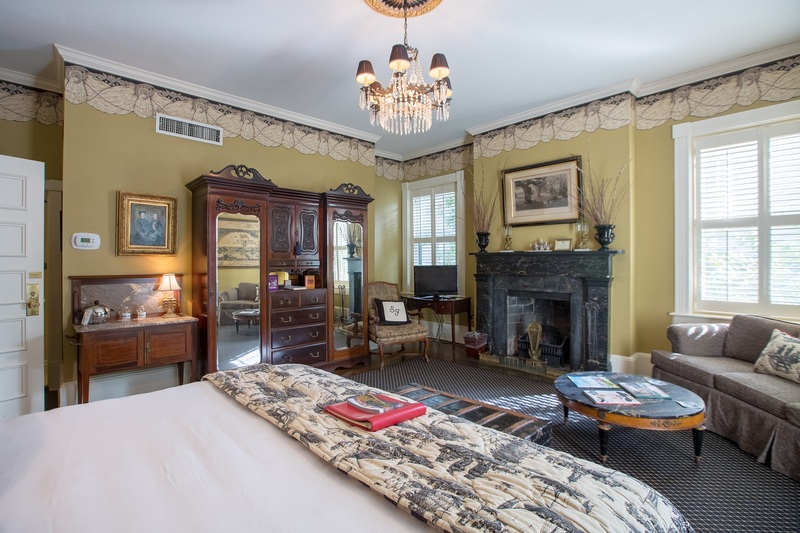 Includes a new flat-screen TV.